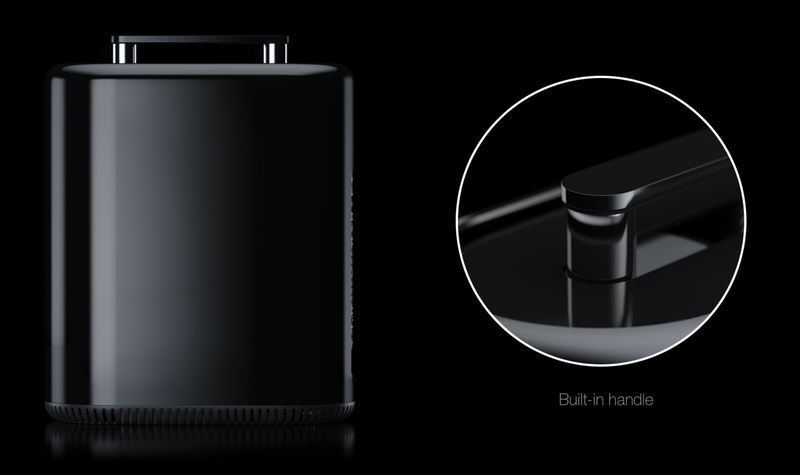 A Mac Pro refresh is nowhere in sight, but one graphics designer has conjured up what the next-gen Mac Pro might bring to the table. Apple surprised everyone this year with their announcements, or lack thereof. 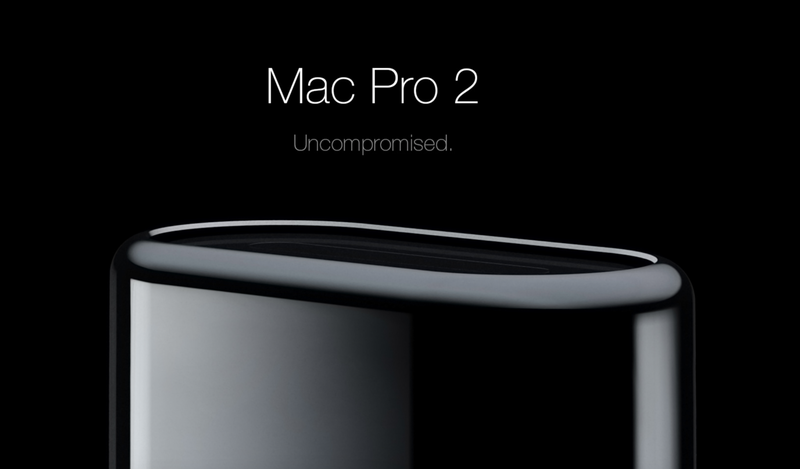 The Mac Pro, which everyone was looking forward to, didn’t even make a ‘leaked’ appearance this year. This forced everyone to believe that the ‘Pro’ desktop from Apple is dead. But one designer, who goes by the name Pascal Eggert thinks otherwise. Dubbed as the Mac Pro 2 by Pascal, he imagines the desktop to be a powerful little beast that is going to be future-proof in a lot of ways. Kicking things off is the design. 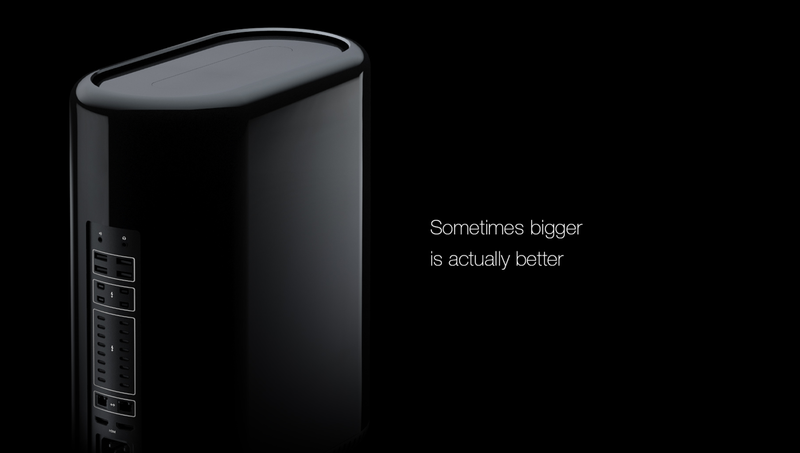 While it does take some cues from the current generation Mac Pro, but things are a little stretched out. That’s because it packs in ‘standard’ components that can easily be upgraded. 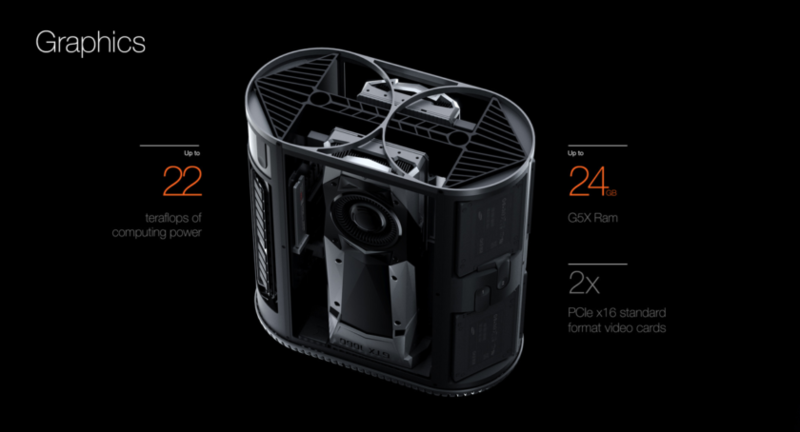 Due to this reason, the Mac Pro 2 is slightly bigger than the current-gen model. On the I/O end, the Mac Pro 2 is a tank. It packs in 4 USB 3 ports, 4 Thunderbolt 2 ports, 16 Thunderbolt 3 ports, 2 Gigabit Ethernet ports and 4 HDMI 2.1 ports. Yes, we know, that’s a bit overkill. But it gets better when you lift the lid on the machine. Inside, you get the option to have 4TB of solid state storage (x2) with read speeds of up to 3500MB/s. That SSD is of the M2 variety, according to the designer. 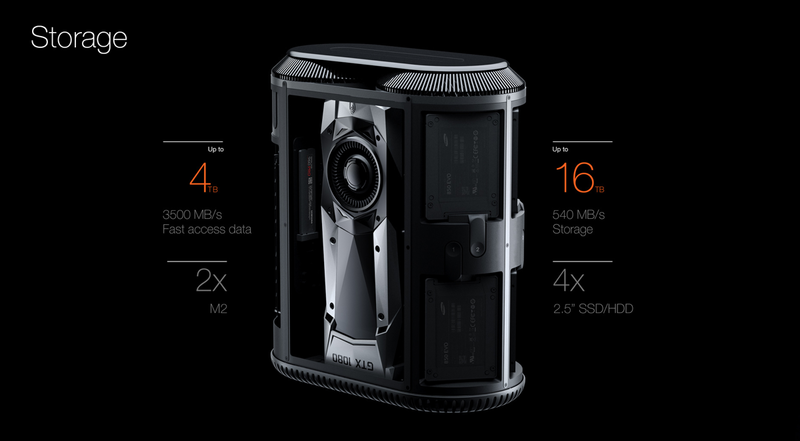 There’s also an option of having up to 16TB storage (x4) with speeds of up to 540MB/s. 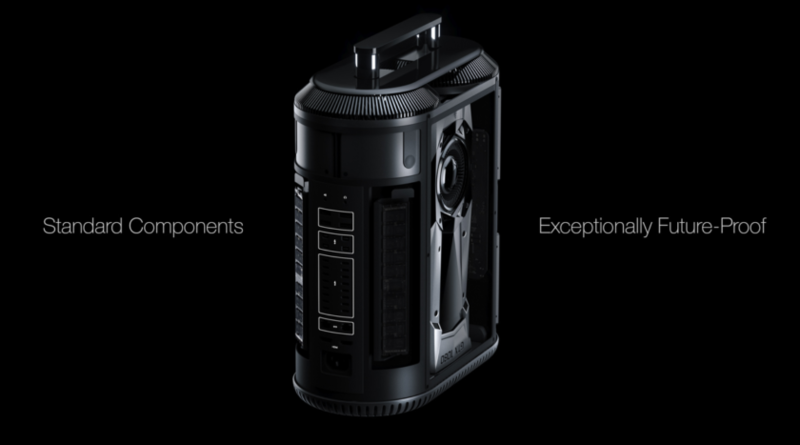 From the concept render itself, it appears as though you can toss in two GTX 1080s into the mix. 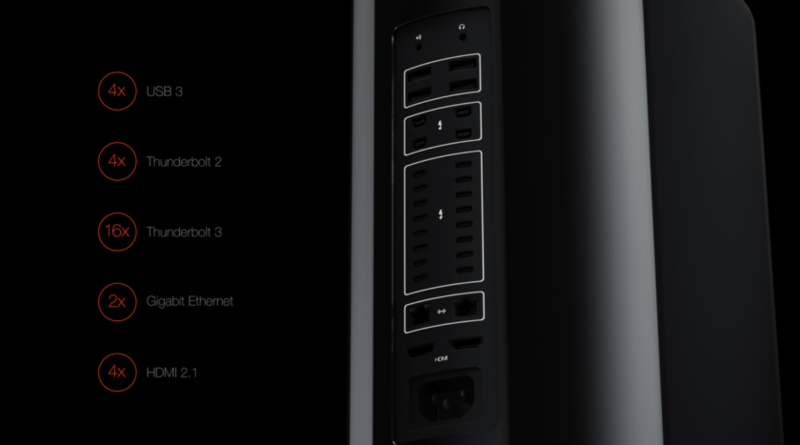 With that combination, the designer imagines up to 22 teraflops of compute power, and up to 24GB of GDDR5X RAM. 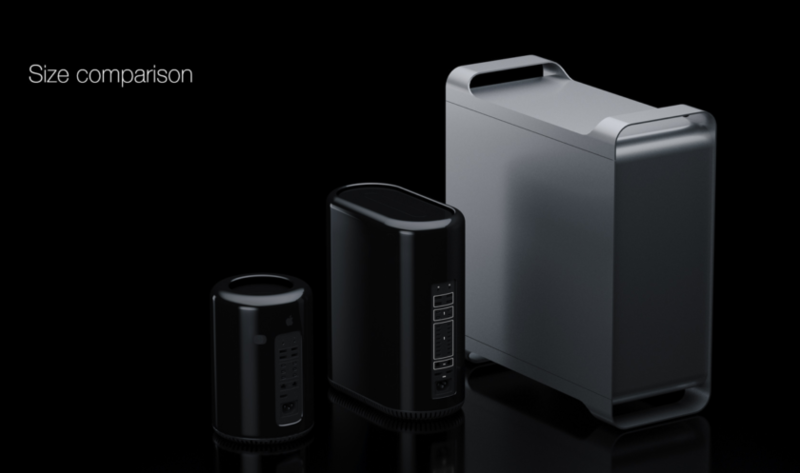 If you are looking to launch the next International Space Station into orbit, then the Mac Pro 2 is going to be the perfect place to kick things off. Of course, we know, the design is absolutely impractical in a lot of ways. That’s why it has a ‘concept’ tag hanging from its nose. If Apple was to create something similar, we would either end up with loads of compromises, or a huge shift in design. Either way, this exact same thing will never ever see the light of day from Apple, not any time soon, at least. But a good concept does make our day bright. Does it yours?